Hello ladies! The gorgeous Frozen characters, Anna and Elsa are having their prom tonight. Being such a special occasion, they want to look absolutely gorgeous, especially that their boyfriends, Kristoff and Jack will be there. They don't just want to choose a random outfit form their closet, they want to create one. 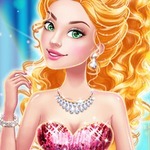 In the game called Frozen Prom Nails Designer at Gogy 2, you are going to have the unique opportunity to help these 2 ladies get ready for this important event in their lives. 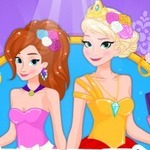 You will begin the preparation in Frozen Prom Nails Designer at Gogy girls games with a fun dress up session, in which you will be choosing the right outfit for Anna and Elsa, and also do their manicure. In Frozen Prom Nails Designer, you are going to have the amazing opportunity to create your own nail polishes for Anna and Elsa. You will be able to create up to 20 different nail polishes, which you will then combine and create amazingly beautiful manicures for these 2 Frozen characters. 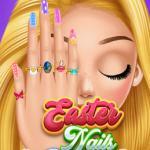 Once you will have created the nail polishes, you will then be able to complete the manicure with the most glittery accessories and rings. Help both these girls get ready for their prom, and they will surely love it! Have fun playing Frozen Prom Nails Designer! 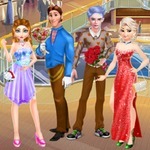 Elsa and Anna are going to prom – it’s a last minute decision, and now they need your help getting ready! 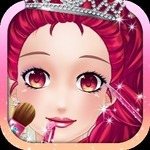 In this game you can dress up either Elsa or Anna – I’ll help whoever you don’t choose, so they’ll both get ready in time. It takes four levels to get completely ready for prom… quite a process if you ask me, but I’m sure the end result is worth it! Help Elsa or Anna choose their prom dress, accessories, and shoes first. Then you can start on their nails. Both Anna and Elsa want to get their nails designed and decorated, so you can be very creative with them! Stickers, gems, sparkles, or just a simple design is fine – they’re leaving it in your capable hands.